The hateful, racist, fascistic fliers (see screen shot to the right) that popped up in Alexandria/ Del Ray today are yet another manifestation of what Trump and his ilk have unleashed in this country. 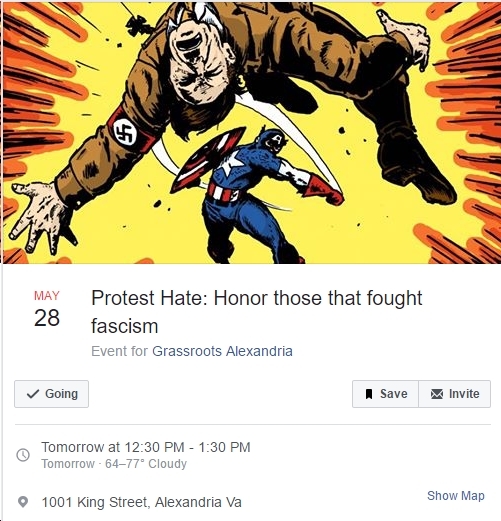 We need to resist this evil, including at rallies like this one, scheduled for tomorrow on King Street in Alexandria. Also, see the following statement from Del. Mark Levine (D-Alexandria). I echo his words 100%. It is a shocking wake-up call to see such filth, particularly here in our proudly diverse and accepting community. I have spoken at many protests against Richard Spencer and his disgusting neo-Nazi band of followers. 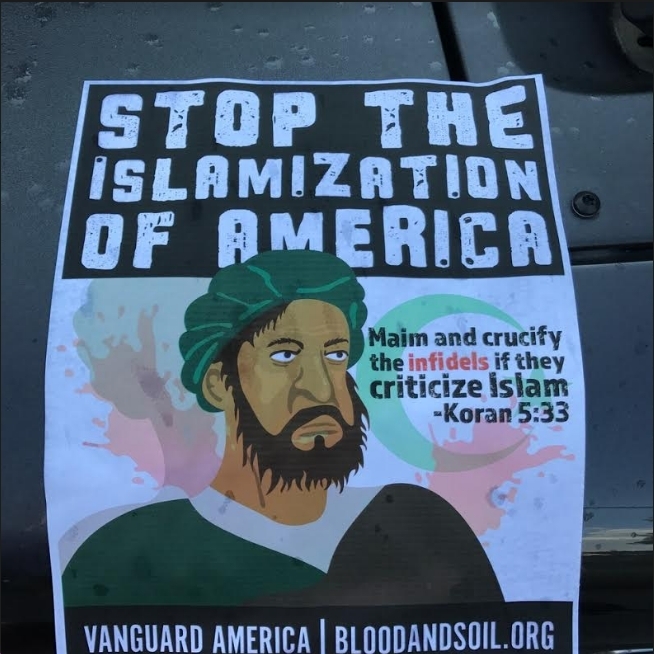 My only solace is that I believe they littered our city with this hate-filled trash as a reaction by them to their knowing how unwelcome in Alexandria they are. Hopefully they will soon have enough and leave. I believe the vicious racist lies and personal attacks, particularly those directed at Christine Fair, may well be an incitement to violence. At the very least, I think she could sue for defamation. If anyone sees any signs of this ilk posted again, please alert me. 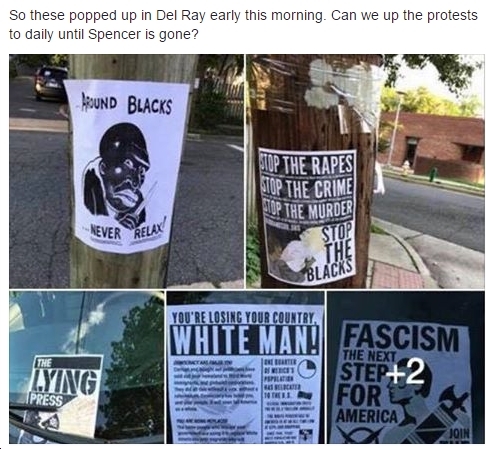 And if anyone sees a person posting signs like these, please call the police. Another nasty photo, this time anti-Muslim, courtesy of a Del Ray resident, below. I found them this morning at 7 am when I walked our dog. The first signs were right at the Duncan library which is next to the Mount Vernon Community School on East Uhler Avenue and Clyde Avenue. I found them in a multi-block radius from Commonwealth to Mount Vernon Avenues between Clyde Avenue and Custis Avenue. I don’t know whether there were others. I took down well over fifty of the flyers. I have not observed anyone posting the flyers. One neighbor apparently observed three men around 11 pm and maybe someone has a surveillance camera. The police is hopefully looking into this. Most of the flyers have the bloodandsoil.org <http://bloodandsoil.org/> website listed. It seems two of them have no direct attribution; the one that says “Around Blacks …Never Relax” and the one about Christine Fair). The timing so close to the Fair/Spencer incident at the gym seems more than coincidental.